Soursop 200 Dry Leaves Tea With Stems Powder. 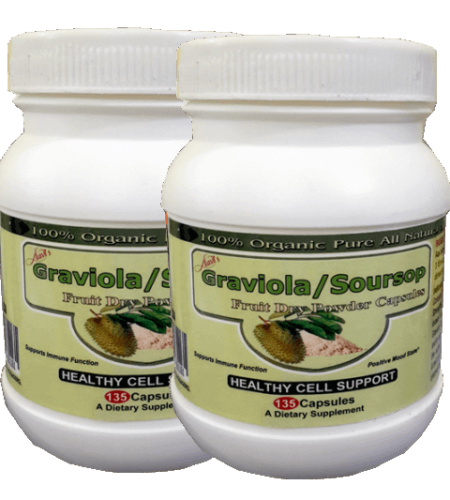 Soursop Fruit 135-Capsules 500 mg Each. Moringa Oleifera 60-Capsules 500mg Each. Ashwagandha (Indian Ginseng) 90-Capsules 500 mg Each. Bitter Apricot Seeds (contains Vitamin B17) 200grams. 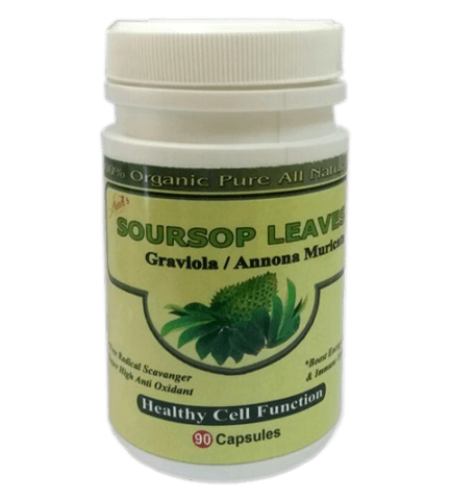 Soursop Leaves targets the malignant Cancercells only and not the healthy ones, thus preventing side effects like nausea, hair loss and weight loss. 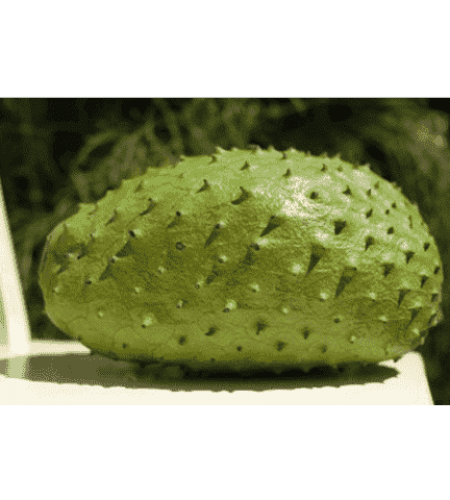 It has also been found that Soursop Leaves Tea & soursop fruit is proving highly effective incancer malignancay. It is said that the soursop fruit and leaves is seasonal and available only for few months in a year But we can supply you throughout the year, As it is imported from various foreign countries & Now its also Available in India. Many active compounds and chemicals have been found in soursop, specially Annonaceous Acetogenins in its fruits, leaf, stem and bark. The chemicals and acetogenins in soursop demonstrate strong anticancer & anti-Malignant, anti-tumorous, and anti-viral properties. These acetogenins found in soursop are superb inhibitors of enzyme processes that are only found in the membranes ofCancerous Malignant tumor cells. That is why they are toxic to malignant Cancerouscells but have no toxicity to healthy cells. Acetogenins in soursop extracts have been selectively toxic in vitro to many types of tumor cells. Moringa oleifera is a tree brought from the mind of God to the hands of man. It was recognized by the National Institute of Health as the Botanical of the Year for 2007, and praised again in 2011 & 2012. It is valued worldwide for its ability to treat over 300 diseases. The most amazing fact about moringa is that it is a storehouse of nutrients and medicinal chemicals. It is rich in vitamin A, vitamin C, calcium, potassium, iron & protein. It contains a plethora of phyto- nutrients,8 essential amino acids & other powerful disease fighting antioxidants. According to the Ayurveda, moringa comp- rises of around 539 compounds capable of preventing 300 diseases. Moringa contains more than 90 nutrients and 46 different antioxidants which make it a powerhouse of nutrition. 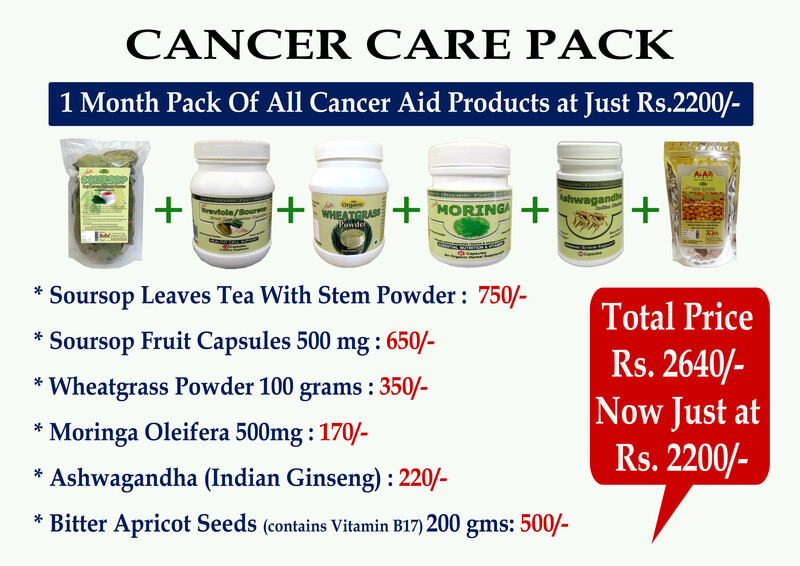 Moringa is a complete health product which improve your overall health. Ashwagandha, also known as Indian Ginseng, has a wide range of health benefits, including its ability to fight against Malignancy and diabetes, as well as reduce inflammation, arthritis, asthma, hypertension, stress, and rheumatism. Furthermore, it boosts your supply of antioxidants and regulates the immune system. It also has antibacterial and anticoagulant properties. The apricot seeds was claimed as the cure for all Malignancies over 35 years ago. Controversy raged when some of the world’s top scientists claimed that when consumed the components of the apricot seed make it impossible to develop Malignant cells and will kill existing Malignant cells in most cases. It was even more strongly claimed that when one eats apricot seeds every day they can never develop Malignancy, just as one can never get scurvy if they have an orange every day, or pellagra if they have some B vitamins every day. Lungs Cancer, Breast Cancer,Prostate Cancer, Bladder Cancer, Bone Cancer, pancreatic Cancer, Colon Cancer, Brain Cancer, Carcinoma, Cervical Cancer, Childhood Cancer, Pediatric Cancer, Esophageal Cancer, Kidney Cancer, Leukemia Cancer,Liver Cancer, Lungs Cancer, Lyphoma Cancer, Melanoma Cancer, Ovairian Cancer, Pancreatic Cancer, Sarcoma, Stomach Cancer, Testicular Cancer, Thyroid Cancer, Uterine Cancer, Skin Cancer and others. Fights cancer safely with an all-natural therapy that does not cause nausea, weight loss and hair loss. Gives relief from pain and helps in very good sleep. Boost your CBP, low platelet count and energy levels.